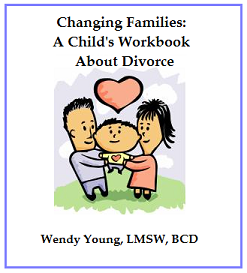 Our workbook is specifically designed to help you help your child cope with the numerous changes that a divorce brings. ~ 50 pages of information and drawing, doodling, story prompts to help your child cope with your divorce. ~ An EXCLUSIVE BONUS section providing parents with all of the information they need to assemble a "Kidlutions Kid Care Kit for Divorce"! Divorce is difficult enough for adults. It's even more difficult for children. We have helped thousands of children cope with divorce and know the best ways to help kids open up to talk about their feelings and their innermost thoughts. We share them all in our workbook, to help take the guesswork out of it for you. We have the solutions you are looking for in helping your child deal with this life changing event.